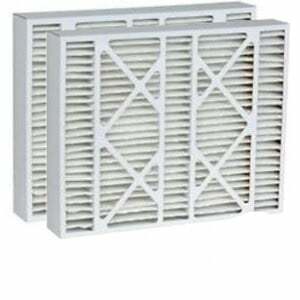 The Carrier EXPXXFIL0024 Air Purifier Filter is a genuine OEM factory replacement air filter for Bryant, Carrier, Payne, Day-Night, as well as certain Honeywell, Space-Gard, and Trion air purifiers. It will fit many compatible air purifiers including MACA series air cleaners and MPKA series air cleaners which use a 24" x 25" filter. It is a compatible replacement for other EZFLEX air filters with nominal dimensions of 24"L x 25"W x 5"T (actual dimensions: 23 3/4" x 25 3/8" x 4 3/8"). Note that depending on specific supply received this filter may ship to you as either a Carrier filter or a Bryant filter though both filters are identical in size and effectiveness. 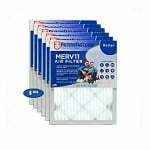 The Carrier EXPXXFIL0024 air filter replacement has a MERV 10 rating. It reduces more dust, pet dander, hair, dust mites, viruses, bacteria, mold spores, and other allergens and particulates from your indoor air than filters with lower MERV ratings. This filter should be changed about once a year under standard conditions or more often under severe air conditions. 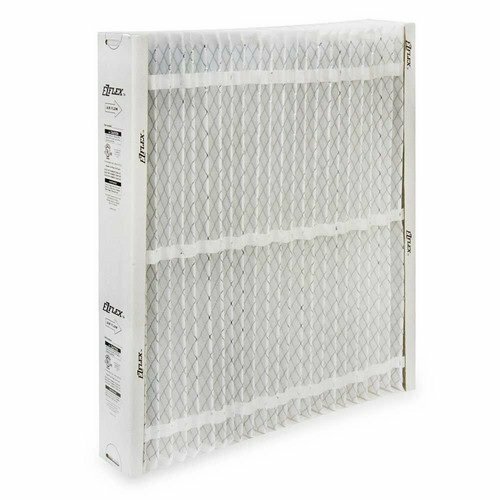 The FiltersFast Brand Carrier FILXXCAR0024 24x25x5 2-Pack compatible replacement air filter removes atmospheric and household dust, tobacco smoke, cooking smoke, grease, mold, fungi, mites, pollens and more down to 0.3 microns. No assembly is required. Compatibility: FILBBFTC0024, FILBBCAR0024, FILCCFTC0024, FILCCCAR0024, and FILCABCC0024; it will also fit many compatible air purifiers including FILCAB series air cleaners and MPKA series air cleaners plus all others which use a 24"L x 25"W x 5"T box filter.